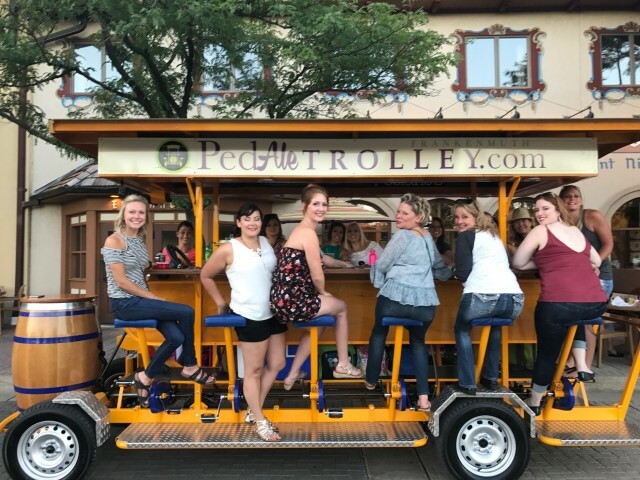 Frankenmuth's newest attraction: a 16-person pedal-powered trolley. It's a fun way to explore Frankenmuth and get some light exercise and fresh air too! Choose from varied two-hour tours: Pub Crawl, River Ride, Main Street Mixer, Attraction Trek and more. Sit. Smile. Pedale for awhile. 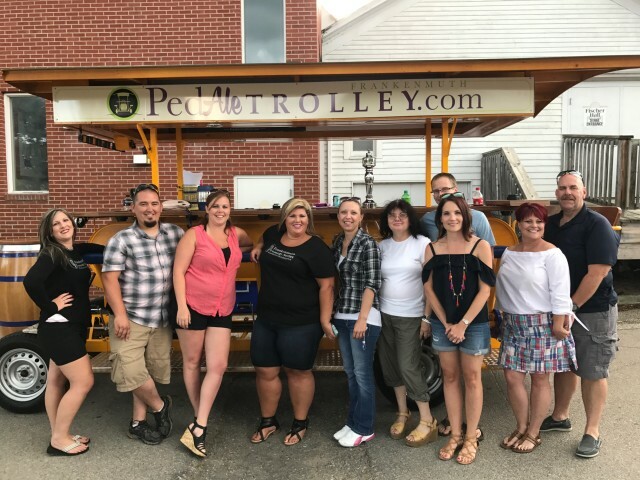 Visit pedaletrolley.com to book a tour. 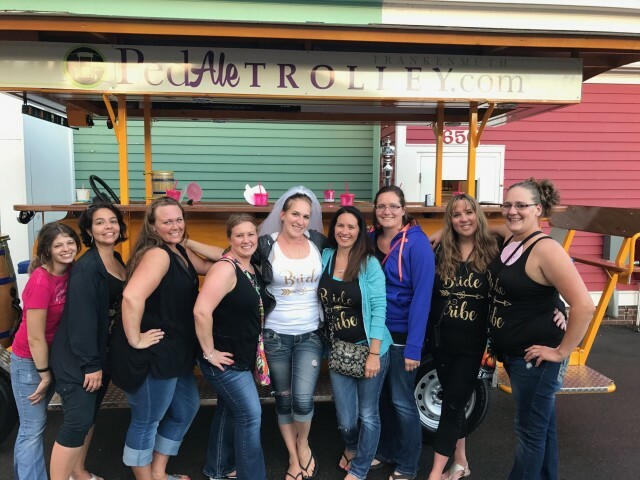 For private tours including parties, weddings and team building, call us at 989-262-8300. Monday: 10am-9pm *Last ride of the night stops at local bars. *Custom tours are available if scheduled in advance. Tuesday: 10am-9pm *Singles bike ride night *Last ride of the night stops at local bars. *Custom tours are available if scheduled in advance. Wednesday: 10am-9pm *Singles bike ride night *Last ride of the night stops at local bars. *Custom tours are available if scheduled in advance. Thursday: 10am-9pm *Last ride of the night stops at local bars. *Custom tours are available if scheduled in advance. Friday: 10am-9pm *Last ride of the night stops at local bars. *Custom tours are available if scheduled in advance. Saturday: 10am-9pm *Last ride of the night stops at local bars. *Custom tours are available if scheduled in advance. Sunday: 10am-9pm *Last ride of the night stops at local bars. *Custom tours are available if scheduled in advance. Other: All rides last 2 1/2 hours, all riders are encouraged to bring drinks and snacks with them (alcohol is allowed). Disclaimer: the trolleys are strictly pedal-powered, all riders must pedal in order for trolley to function.